June 1, 1938: On this day, Action Comics that told the story of Superman was launched. Story about the first superhero in the world has written based on the story of baby Moses who was abandoned by his parents in order to save his life. In the first release, Siegel wrote about Kal-el who was sent to the earth by his parents when he was infant using a rocket just before Krypton Planet exploded. The comic was illustrated by Joe Shuter. 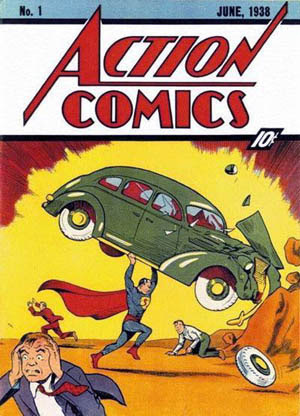 The first issue of Action Comics was published by the National Allied Publications, which known today as DC Comics. The actual date of publication was on April 18, 1938, as opposed to the cover date which was June. Today, the Action comics is mainly devoted to Superman, although it actually started as an anthology, just like any other early comics.